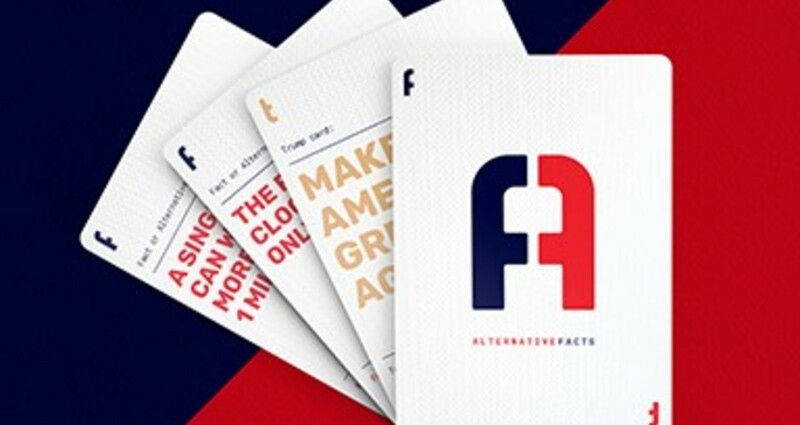 Introducing Alternative Facts, America's best card game ever. Period. 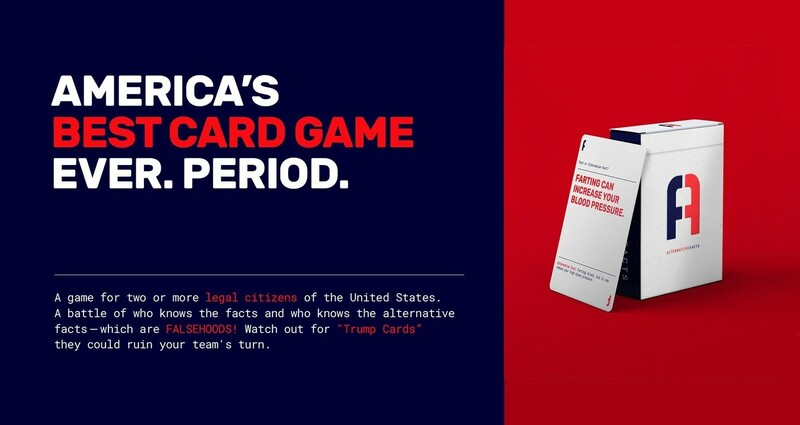 A battle between two teams to see who knows the facts and the alternative facts. 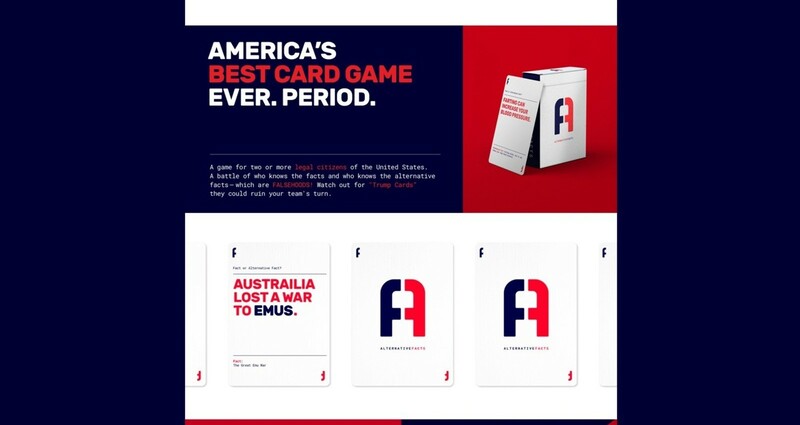 To start, the player with the biggest hands draws the first card and reads the statement to the other team. The team with the most right answers wins. 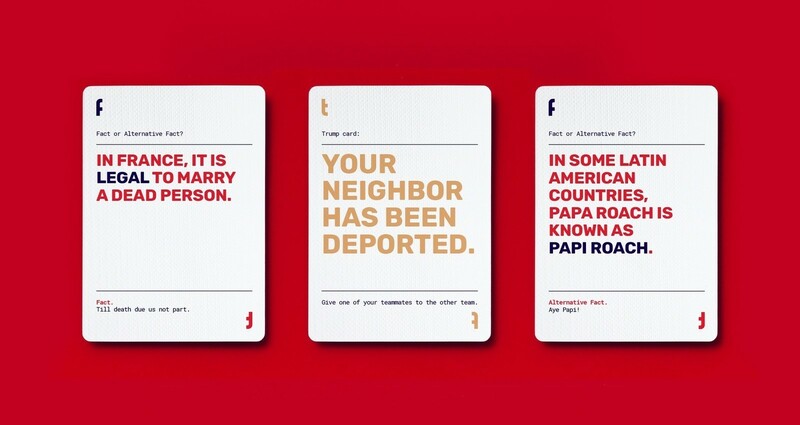 But care of the dangerous trump cards, they may subject you to gag order or worse, deportation (to the other team). Three days after Donald Trump was inaugurated as President, senior adviser Kellyanne Conway created and instant meme with two words: "alternative facts." The phrase was coined during a "Meet the Press" interview, in defense of Sean Spicer's false statements about the attendance at President Trump's inauguration. This threw the internet into a hashtag-filled-meme-driven spiral questioning the difference between the Facts and Alternative Facts. 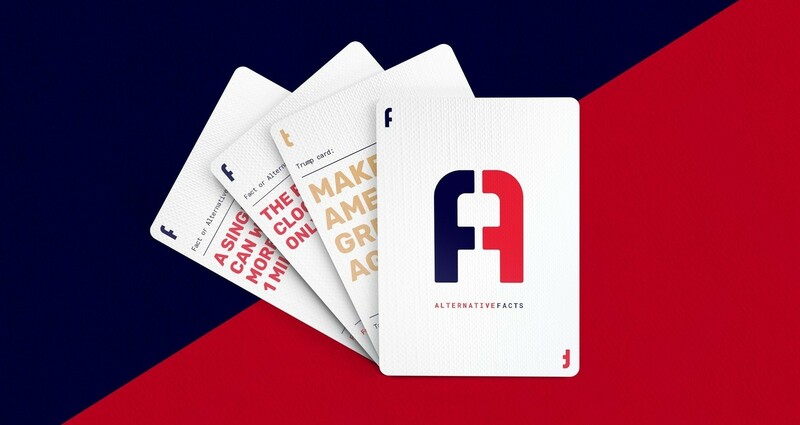 Twelve days later, we had written, designed, manufactured and distributed: Alternatives Facts the Game.